This Crafted Table Hoodie is designed with full zip fastening and long sleeves. 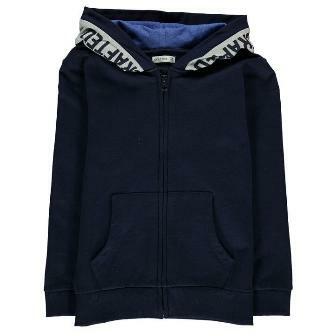 It has ribbed trims and is hooded. This jacket has 2 open pockets and a soft fleece lining. It has a contrasting panel to the hood and is complete with Crafted branding.